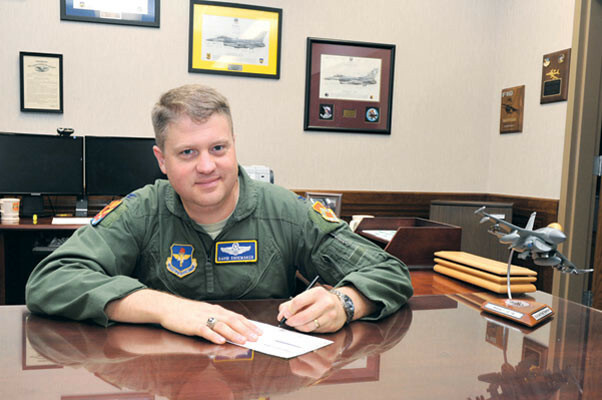 Col. David Shoemaker, 56th Fighter Wing vice commander, signs the Combined Federal Campaign pledge form Sept. 21 at the Luke Air Force Base wing headquarters building. CFC funds go toward many organizations including the Air Force Aid Society, Boys and Girls Club and more. The Combined Federal Campaign kicked off Oct. 1 at Luke Air Force Base to give federal employees an opportunity to donate to approved charitable organizations. The CFC was created in 1961 as a way to annually solicit donations in the workplace and for those contributions to be payable through payroll deductions. 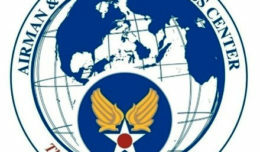 “The CFC has all kinds of charities that you can donate to,” said Chaplain (Maj.) David Barns, 56th Fighter Wing chapel. “Rather than having individual charities knocking at the door of government agencies, they are routed through the CFC program. They have to complete a lot of paperwork in order to be approved by the organization and then through the CFC, federal employees can donate to those charities. With more than 22,000 charities to choose from, a person can donate to a wide range of organizations. 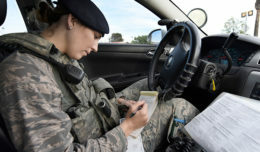 Each squadron will have a representative or two with a goal of 100 percent meaningful contact with every section on base with a 25 percent participation rate for a total goal of $150,000 to be raised by the end of the campaign on Nov. 13. The CFC Kick-off Fair will be during the 56th Medical Group Health Fair beginning at 9 a.m. today. There will also be three focus tables where charities will hand out information on their organizations. The first will be at the Medical Group Clinic beginning at 9:30 a.m. Monday. The second will be at the Luke AFB Exchange beginning at 10 a.m. Oct. 16 and the third will be at the commissary beginning at 10 a.m. Nov. 2. Throughout the six-week campaign, there will be different sporting events on base the CFC will attend to give people an opportunity to donate. There are also CFC sporting tournaments such as corn hole, kickball and the unique opportunity to hit a first sergeant in the face with a pie. Several more events are scheduled with dates to be determined. Watch the Thunderbolt for up-to-date information and campaign progress.